Marketing and Promotion | What Are You Reading? If your library hasn’t tried a “Blind Date with a Book” display yet, put it on your radar for next year. With a bit of planning and organization it’s a great way to inject a bit of whimsy into your displays. The New Westminster Public Library has run a Blind Date with a Book for a few years now, and it’s great to hear patrons get enthusiastic when they see the display go up again. We make sure we have signage that tells the public what to do (the first year a few people thought we were giving out presents and wanted to keep the books!) and use distinctive wrapping paper that catches the eye. We don’t limit ourselves to books – DVDs, audiobooks, and CDs have all made it in at one time or another. We write brief descriptions of the book and print them on labels that we stick to the front, and photocopy the barcode and attach this too, so the surprise isn’t ruined by having to unwrap the book at checkout. Once the display is up, we schedule social media posts on Twitter, Instagram, and Facebook, and enjoy filling up the displays and getting feedback. Admittedly people don’t always like their blind date book, but taking a chance is part of the fun! This is a great way to get people to read out of their comfort zone. Staff across the library also enjoy having input as to what gets recommended, and everyone loves the challenge of writing a brief teaser description for the materials on display. How does your library run a blind date with a book display? What clever ways have you found to entice readers to pick up something unfamiliar? This entry was posted in Booktalking, Marketing and Promotion, RA Tools, Uncategorized on February 10, 2017 by nwpllibrarian. Images are a powerful means of communication. Somewhat ironically, pictures are increasingly used to connect fans of 1000s of words (books). Instagram is an popular platform for bookish images as Jennifer Streckmann discussed previously on this blog. The Readers’ Advisory Interest Group (RAIG) began posting images on Instagram at the end of 2015. You can find us @bclaraig. Join us by tagging your library’s bookish photos on Instagram with #WhatAreYouReadingBC. Or use this hashtag to share what you are reading now. RAIG aims to connect with our colleagues across BC in the Library profession. To reach out, RAIG will contribute to each issue of the BCLA Perspectives quarterly publication. Our regular feature will be called “Titles to Talk About” and will promote three titles library staff can talk about with their patrons, friend, families and communities. We will promote a BC author in each feature. The intent is to pool our collective knowledge and give library staff across BC a chance to learn about titles to recommend in a brief, easy to use format. Library staff will be able to broaden their knowledge regardless of their own reading interests or geographic location. We are starting with the first-ever RAIG: titles to talk about piece by Shelley Wilson-Roberts published on February 1, 2016 in Volume 8 Issue 1. This entry was posted in Marketing and Promotion, RA Tools on February 2, 2016 by taramatsuzaki. We at Port Moody are a little late to the merchandising game, but this year, we finally got a set of display units for our entrance area to showcase our new books. That leaves us a nice feature book wall, plus a couple units to do some rotating displays. Verdict from staff: Book displays are awesome. Starting a random chat with a stranger is hard, but not when you get to talk about books. We can talk about books forever, right? Library stacks rarely change, so walking into the library can feel pretty routine sometimes. You know exactly where your “stuff” is and you head straight there. Book displays offer something different, breaking people’s patterns and make them stop to see what’s new or changed at your library. It is also delightful to see your favourite books highlighted. I know I feel like the library was personalized for me that day when I did saw this horror display for Halloween. Finally, something for me! They laughed at this corny joke. I saw it. Well worth the effort making people smile, or roll their eyes in some cases. This display was an idea found on Pinterest (a treasure trove of merchandising ideas). “Big” was interpreted by some as “big” as in oversized and “big” as in War and Peace big by others. By the way, according to our Twitter follower, the next line of the song is “Your other readers can’t deny”. Yes, book displays also make excellent social media posts. Displays don’t always have to be logical, or restricted to a certain genre or topic. At least that’s our theory here. The funnest ones we have done are definitely random, but the advantage of “random” is that you can gather books from across the whole spectrum of your collection, highlighting all sorts of backlist titles. Something for everyone on your display: checked! “I don’t know the name of the book but it’s [insert colour]” is an easy random display to do, also pretty to look at. Plus, you can mobilize the whole staff to find you books with that colour as they shelve or check books in. Another one of our favourite is “Judge the book by its title”. This display was inspired by a staff debate of whether the office was too cold or too hot. Remember this past summer with the unrelenting heat? (you know which side of that debate I was on) Well, the office’s AC was adjusted constantly, fans were turned on and off on a daily basis, people complained and others countered. So our verdict: Let’s agree to disagree. See more blog posts on displays, and don’t miss your library’s Black Friday deals, extended all week just for you. This entry was posted in Displays, Marketing and Promotion and tagged Display ideas on December 2, 2015 by virginiamcc. Taking the lead from the American website www.libraryreads.org, Loan Stars is the new readers’ advisory service that allows library staff across Canada to collaboratively select their favourite forthcoming titles. Using CataList, the online catalogue tool available free to libraries, librarians can nominate their favourite picks, the most popular of which will be marketed to libraries and library users alike. We will be launching voting in January with the goal of having the first LoanStars list in March or April. Library staff can vote on their favourite pre-publication adult book, Fiction or Non-fiction. We may later have a juvenile list but right now we are keeping it to adult titles. Voting takes place in CataList (www.bnccatalist.ca), a free tool that allows library staff to access the most up-to-date publisher catalogues. Titles need to be listed in CataList in order for you to cast your vote. Books need to be nominated a month prior to the publication date. i.e. books with a publication date of March need to voted on prior to February 1st. In this example, we will compile March lists in early February and circulate them to libraries – giving librarians an opportunity to vote. 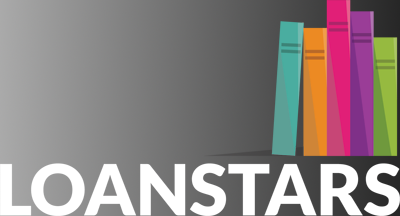 For now, we recommend that librarians sign up to be added to the Loan Stars mailing list (www.loanstars.ca). They can also sign up with CataList and NetGalley and get ready to nominate books! We recommend focusing on titles that are coming out in the spring. We need lots of participants! Please consider being a part of this exciting new initiative. This entry was posted in Community, Marketing and Promotion, RA Groups on November 23, 2015 by thematthewmurray. 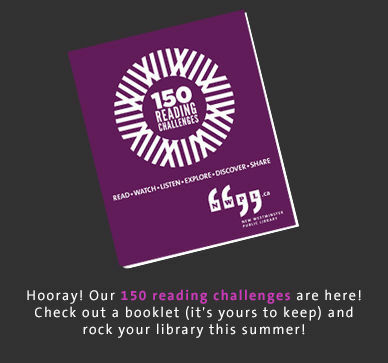 Our library celebrates its 150th birthday this year, and as a gift to the community we created a book of 150 reading challenges, which replaced the Adult Summer Reading club we have done in previous years. Our intention was to create a marketing piece for the library that would showcase our collections and share our enthusiasm with everyone who uses the library. Erin Watkins, our Manager of Programs and Community Development, was instrumental in getting this off the ground. Thanks, Erin! Many hands make light work. We had staff from multiple areas of the library contribute ideas for the challenges, but we had one person compile them. This allowed for diverse interests, collection areas and material types, which we hoped would appeal to a broader range of our community. The challenges were meant to encompass all aspects of our library’s collection in as many formats as possible to inspire people to move beyond their tried and true reading, viewing, and listening habits. Literacy is not just about books, and having the challenges touch on multiple formats will give people a chance to explore areas of the library that they may have previously ignored or been uninterested in. Having staff from all over the library contribute really helped set the groundwork for the challenges. Having one staff member compile the results was a way to ensure we kept to task and made it to our goal of 150 challenges – one for each year the library has been in existence. Enthusiasm helps! Staff enthusiasm for a project like this helps us all see how diverse our colleagues and their interests are, which makes the workplace a fun place to be. It also means that we are better able to use that knowledge in a readers’ advisory situation because if we don’t share the reading interests of the patron in front of us, we can certainly find someone who does. More heads are better than one. Collaborative work meant that wrangling 150 challenges into a semblance of order so they could be put into a booklet was much more effective. It also established a way for us to riff off each other’s ideas and build on each other’s work. One of the most exciting aspects of this format meant we could move beyond the familiar territory of the Adult Summer Reading club booklist and offer book bingo, a crossword puzzle, and a drawing challenge as well. We have built in social media components in terms of a section of the challenge being called “Share” where we encourage community members to share their challenges with us on social media, and we have already had some really fun contributions for community members. If you are thinking of doing something similar at your library, don’t hesitate! Not only will it reinvigorate your passion for connecting with library users, but it will empower you to learn even more about the collection in your own library and inspire your own reading/viewing/listening habits. We can’t wait for the conversations we’re going to have with our library users: in the stacks, at the desk, on social media – all about what we love to watch, read, and listen to. It’s going to be a great summer! What are your plans for adult summer reading inspiration at your library? Comment below so we can all be inspired! Shelley Wilson-Roberts is the Public Services Librarian II at the New Westminster Public Library. 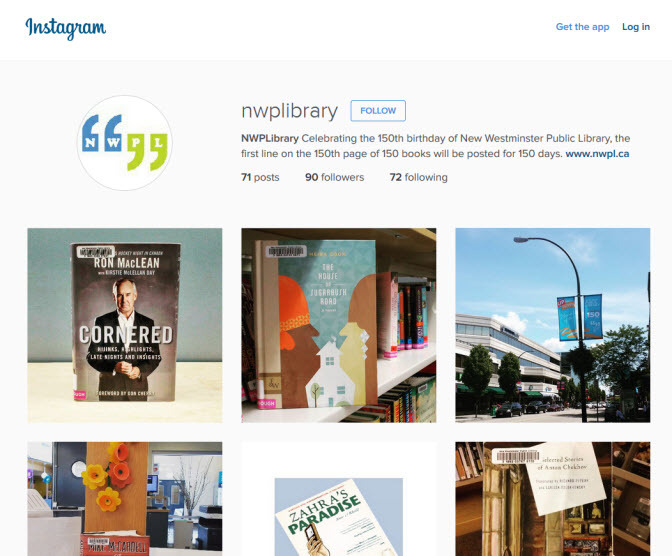 This entry was posted in Community, Marketing and Promotion, RA Tools and tagged New Westminster Public Library, ra resources, Readers' Advisory, reading on July 16, 2015 by nwpllibrarian.